Trading psychology is an area that is often overlooked by traders, especially when they are starting out. However, seasoned traders, who have spent years in the markets, understand that the traders who are going to keep going for the long haul are those who have mastered their trading psychology. Trading is an incredibly emotional experience. The cold reality is that either you are going to control your emotions or they are going to control you. If you have been ignoring your trading psychology up to this point reading this article will persuade you to start giving it the attention it deserves. So, let’s first consider the way that we go about making trading decisions and the mental process that involves. How do you make trading decisions? You can keep it or take a chance. The chance is to flip a coin and if you choose the right side of the coin you win double; £100,000. Choose the wrong side of the coin and you lose the £50,000. Take the money or take a chance? Now think of the scenario where you have to pay £50,000 or take a chance. The chance is to throw a coin and if you lose you end up paying £100,000. Pay £50,000 or take a chance? A similar experiment to this one outlined above was actually done amongst people in the general population and it was found that in scenario 1 most people took the money. In scenario 2, however, the majority of people were willing to take a risk. 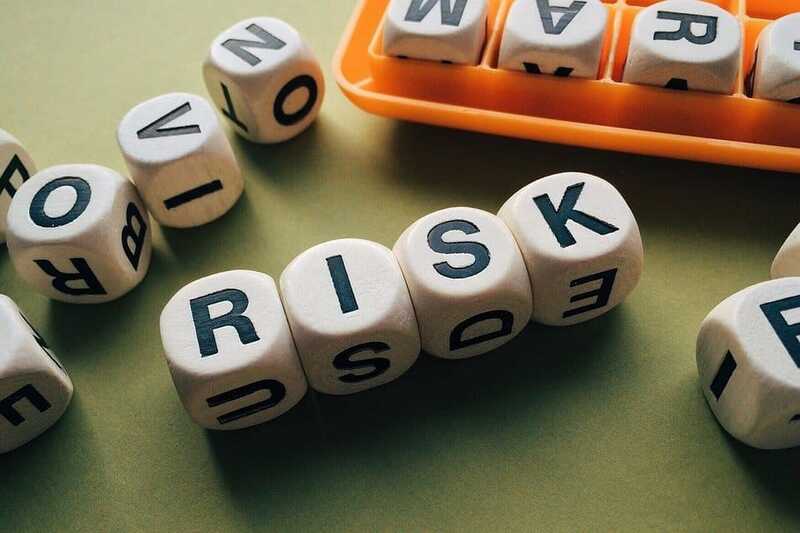 This experiment shows that people in the general population will tend to risk aversion and cutting profits early when they have them, while in a risky situation, people are more likely to take chances. e.g. move stop losses etc. This experiment shows that for the vast majority of us we are primed to cut profits early and let our losses run. The exact opposite of what we need to do to trade successfully. The problem lies in the fact that we have two aspects of thinking in our brains; the intuitive and the deliberate. The intuitive part of the brain is the fast, automatic and effortless part of our thinking process. In contrast, the deliberate part of our brain is slower, more logical and requires greater mental effort. In trading we want to be able to strengthen the relationship between our intuitive part of our mind and the deliberate part of our mind. Consistently making small money but unable to raise your game. Helpfully for us there are certain scenarios where we are most likely to make these mistakes. We are all susceptible to mental blindspots and making thinking errors. There are lots more, but these are some of the key biases we have. We are more likely to act according to our bias if we are tired or stressed or really emotional. One way we can reduce our exposure to biases is by managing our risk, so that it is easier to keep track of our emotional state. Over-Leverage and we will take profits early and cut trades short more quickly as it is just too emotional to risk losing lots of money. Develop an awareness of your own decision making. How do you make decisions? Do you have a set pattern? Or do you just react? Keep a journal of your decisions and why you traded that way. Record any changes you make in the journal, so you can have a ‘real time’ log of your trading decisions. Did you move stops? Reduce or extend targets? Cut the position sooner? Keep a checklist. By being methodical we avoid avoidable and routine errors. Do a pre-mortem. Imagine that the trade you are about to take is a future loss. This will give you a great perspective on your trade from the outset. Another key aspect of trading psychology is to deal with any negative thoughts that creep in. Trading is an emotional pursuit. You can lose a few trades and become depressed. Or have a winning streak and think you are the world’s best trader. When we are engaged in the markets we have hundreds of different thoughts and beliefs. If we are feeling down that emotion is with us when we trade. We might remember the shadow of a last losing trade. Or perhaps we have a strong belief in our trading edge. Close your eyes and be still. With your eyes closed focus upon on what you are thinking for a minute. Go on, do it now…it’s just a minute. Where are your thoughts located? Now the part of you that notices what you are thinking is the ‘observer part of your mind’. Your mind can actually have an ability to fulfil the role of an ‘impartial observer’. How are you feeling? Observe yourself and your thoughts using the observing part of your mind. You can develop your self-awareness technique by tuning into the sounds around you. What sounds can you hear? To become aware you need to be aware of your thoughts. Thoughts are invasive, pervasive and managing them can be extremely hard. The reality is that you need to control your thinking before your thinking controls you. You know if someone said to you, ‘don’t think about a zebra’ for 2 minutes. You know what you would do – think about a zebra. If someone then said to you, try to not think about a zebra for 5 minutes – you would find it even harder to not think about a zebra! Suppression is not a great technique for altering your thinking. If you are having to try and suppress your thoughts you will struggle. Just saying, don’t think about that last losing trade or just get over your losing streak will not be effective in managing your thoughts. They will re-appear. In the same way that just trying to not think about a zebra you will find it popping into your head all the time. Some thoughts we have seem to be factual. They hit us instantly and become all dominant in our thinking. e.g. price is spiking through a key level and we think the market is breaking out, I must join it now. The thoughts like “I can make back all my losses with this trade’ or ‘i can’t afford another losing trade”. These thoughts are largely automatic and reflect the situation that you are in. They just arrive. However, we don’t want to become “married to these thoughts”. So, we don’t want to just suppress our thoughts. Instead we want to practice observing our thoughts and then ‘un-marry’ them. Recognise that thoughts are mental events which may or may not be true. They are not commands for us to follow. They are just thoughts, not facts.They can be allowed to come and go. We are not married to our thoughts. Change the way you think. Imagine that you are at your desk and you say ‘The USD/JPY is impossible to trade. You see, this will help you see that you are just having a thought. What you will find is that you will be able to handle your thoughts much better. You will be able to see around those thoughts and they will not dominate your mind in the same way. It will give you space to not let your negative thoughts overwhelm you. This article has been an introduction into some key aspects needed to maintain a good state of mind for trading. The only traders who will be able to maintain themselves in the markets over many years, will be those traders who are able to recognize, change, and manage their emotions. Take control of your trading today and keep investing in your trading psychology. You will not regret it.